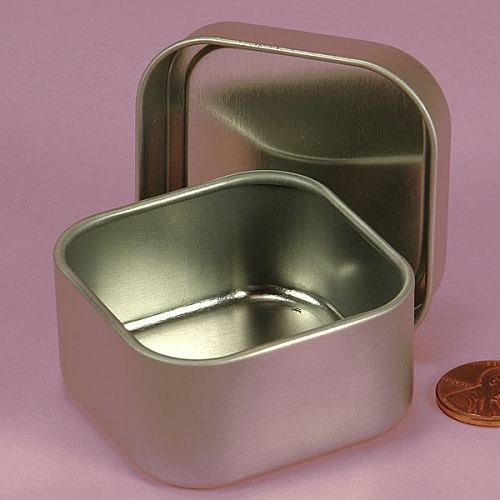 Investing in the 8 ounce Square Seamless Cans is a wise choice. 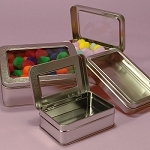 These 100% steel tins allow you to be creative with gift giving. 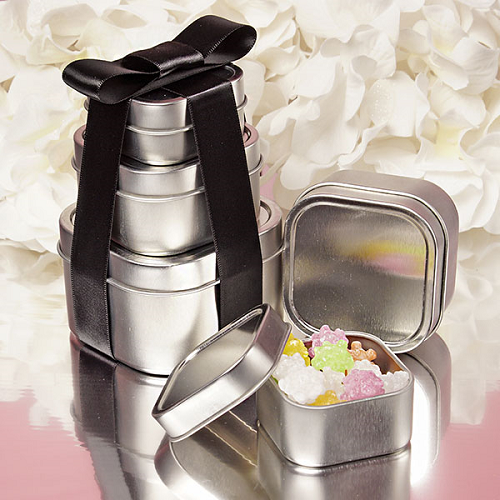 From candy to jewelry, these small steel cans are the perfect gift containers. Solid slip on covers keep the inside contents hidden. 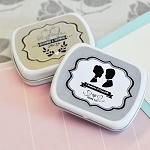 Pair with other square cans of various sizes to create a unique gift display for your store. Your customers will return time and time again to see what you have added next. Quick! 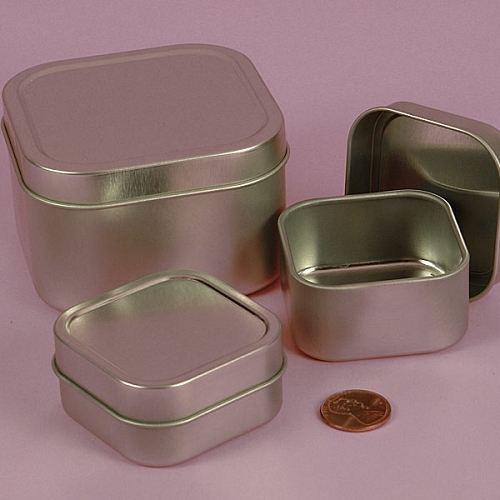 Order your square seamless cans now. 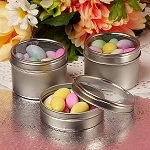 **Does not have an internal plastic lining, therefore caustic substances may cause the steel to rust.